Link Global Management can provide a full range of payroll services in Saudi Arabia. The individual will be engaged on our payroll and income is paid in the form of salary, allowances and expenses, the proportion of each part depending on individual circumstances. Link Global Management will discuss your personal circumstances with you and help you to minimise your tax and social security liabilities, within the boundaries of Saudi legislation. Income is managed tax efficiently, not just in Saudi Arabia but also in any other country where there may be a liability. A tax return is filed each year in Saudi Arabia with advice and assistance from Link Global Management who will also provide help with filing tax returns elsewhere, if required. Saudis and nationals of other Gulf Cooperation Council (GCC) states who are resident in Saudi Arabia are not subject to income tax in Saudi Arabia. The GCC states are Bahrain, Kuwait, Oman, Qatar, Saudi Arabia and the United Arab Emirates. Non-Saudi and nonresident GCC nationals and entities with a permanent establishment in Saudi Arabia are subject to income tax on their business income in Saudi Arabia. Payments to nonresidents are subject to withholding tax. A flat income tax rate of 20%is applied to the tax-adjusted profit of resident non-Saudi and non-GCC individuals. Nonresidents who do not have a legal registration or a permanent establishment in Saudi Arabia are subject to withholding tax on their income derived from a source in Saudi Arabia. A Saudi resident entity must withhold tax from payments made to such nonresidents with respect to income derived from Saudi Arabia. This rule applies regardless of whether the Saudi entity is a taxpayer. Employment income and allowances, including education allowances, received by expatriates are not subject to tax in Saudi Arabia. 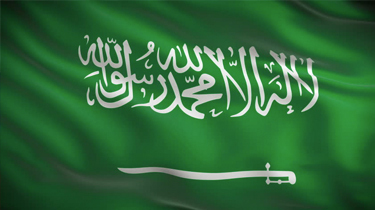 Thinking of contracting in Saudi Arabia?